Snow Tiger canvas Wall Plaque. 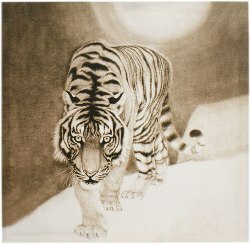 A lovely print depicting the gorgeous Snow Tiger padding through the snow. This wall plaque would also benefit from being displayed with a small light behind it to illuminate the picture.